at Cape Girardeau, Mo. 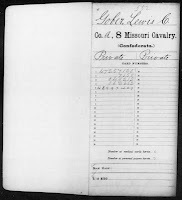 for the last 15 days of August, 1863.
discharged from Gratiot Street Military Prison (St. Louis, Mo.) during the month of February, 1864. Where captured - Cape Girardeau, Mo. 1. He turned himself in in August of 1863, and spent just under a month in Cape Girardeau, before being sent to St. Louis where he was imprisoned for 5 months before being tried by court marital, and released. Why did he turn himself in? Did he change his mind regarding which side to be on? 2. His son, Louis Pleas Gober (1867-1948) would name a son, Robert Lee (1895-1971). However, Louis Pleas was only 9 years old when his father died. 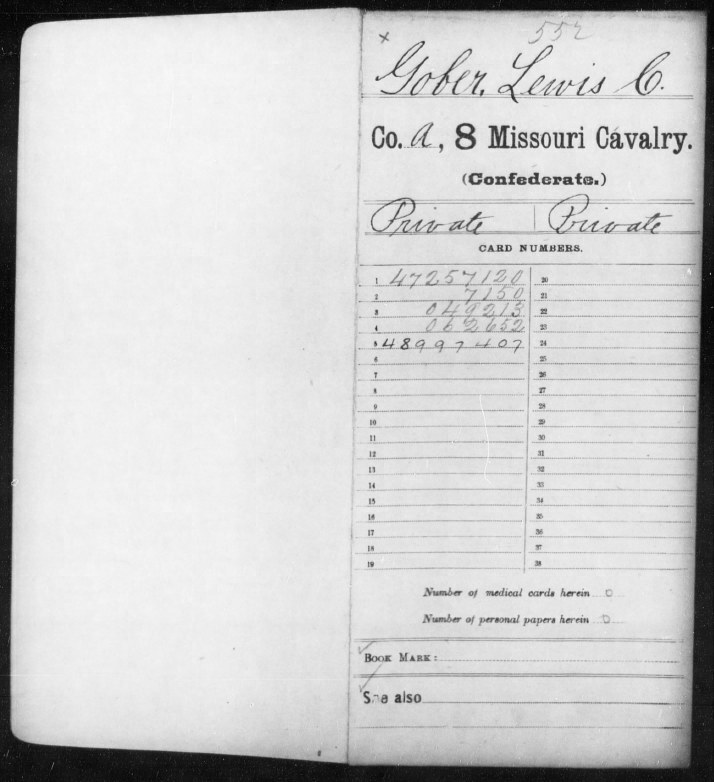 It's not known yet when his mother died, but he appears to be an orphan in the 1880 census, age 13, living with the Kinder Family in Cape Girardeau. Were Louis Pleas's socio-political views influenced more by his father in his first 9 years, or the Kinders? 3. Are there any surviving records of Civil War court martial trials? Yes there are.